Whole-body (WB) dynamic positron emission tomography (PET) enables imaging of highly quantitative physiological uptake parameters beyond the standardized uptake value (SUV). 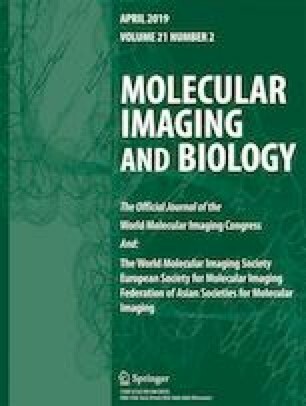 We present a novel dynamic WB anthropomorphic PET simulation framework to assess the potential of 2-deoxy-2-[18F]fluoro-D-glucose ([18F]FDG) net uptake rate constant (Ki) imaging in characterizing tumor heterogeneity. Validated heterogeneous [18F]FDG tumor kinetics were modeled within the XCAT phantom (ground truth). Thereafter, static (SUV) and dynamic PET data were simulated and reconstructed, followed by indirect WB Patlak Ki imaging. Subsequently, we compared the methods of affinity propagation (AP) and automatic segmentation with active contour (MASAC) to evaluate the impact of tumor delineation. Finally, we extracted the metabolically active tumor volume (MATV), Dice similarity coefficient (DSC), and the intratumoral heterogeneity metrics of the area under the cumulative intensity histogram curve (CIHAUC), homogeneity, entropy, dissimilarity, high-intensity emphasis (HIE), and zone percentage (ZP), along with the target-to-background (TBR) and contrast-to-noise ratios (CNR). Ki images presented higher TBR but lower CNR compared to SUV. In contrast to MASAC, AP segmentation resulted in smaller bias for MATV and DSC scores in Ki compared to SUV images. All metrics, except for ZP, were significantly different in AP segmentation between SUV and Ki images, with significant correlation observed for MATV, homogeneity, dissimilarity, and entropy. With MASAC segmentation, CIHAUC, homogeneity, and dissimilarity were significantly different between SUV and Ki images, with all metrics, except for HIE and ZP, being significantly correlated. In ground truth images, increased heterogeneity was observed with Ki compared to SUV, with a high correlation for all metrics. A novel simulation framework was developed for the assessment of the quantitative benefits of WB Patlak PET on realistic heterogeneous tumor models. Quantitative analysis showed that WB Ki imaging may provide enhanced TBR and facilitate lesion segmentation and quantification beyond the SUV capabilities. The online version of this article ( https://doi.org/10.1007/s11307-018-1241-8) contains supplementary material, which is available to authorized users. This work was supported by the Swiss National Science Foundation under grant SNSF 320030_176052, the Swiss Cancer Research Foundation under Grant KFS-3855-02-2016, and an Open Grant (2014GDDSIPL-06) from the Key Laboratory of Digital Signal and Image Processing of Guangdong Province, Shantou University.